Kody Kerski does not have any MLB stats for the season. Draft: 2014, Seattle Mariners, 8th rd. May 25, 2017 Modesto Nuts released RHP Kody Kerski. May 23, 2017 RHP Kody Kerski assigned to Modesto Nuts from Tacoma Rainiers. May 22, 2017 RHP Kody Kerski assigned to Tacoma Rainiers from Clinton LumberKings. May 10, 2017 RHP Kody Kerski assigned to Clinton LumberKings from Modesto Nuts. April 19, 2017 RHP Kody Kerski assigned to Modesto Nuts. March 19, 2017 RHP Kody Kerski assigned to Seattle Mariners. April 5, 2016 Kody Kerski assigned to Bakersfield Blaze from Clinton LumberKings. 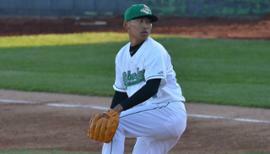 April 7, 2015 RHP Kody Kerski assigned to Clinton LumberKings from Everett AquaSox. March 21, 2015 RHP Kody Kerski assigned to Seattle Mariners. March 15, 2015 RHP Kody Kerski assigned to Seattle Mariners. June 11, 2014 Seattle Mariners signed RHP Kody Kerski. 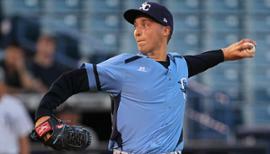 June 11, 2014 RHP Kody Kerski assigned to Everett AquaSox.